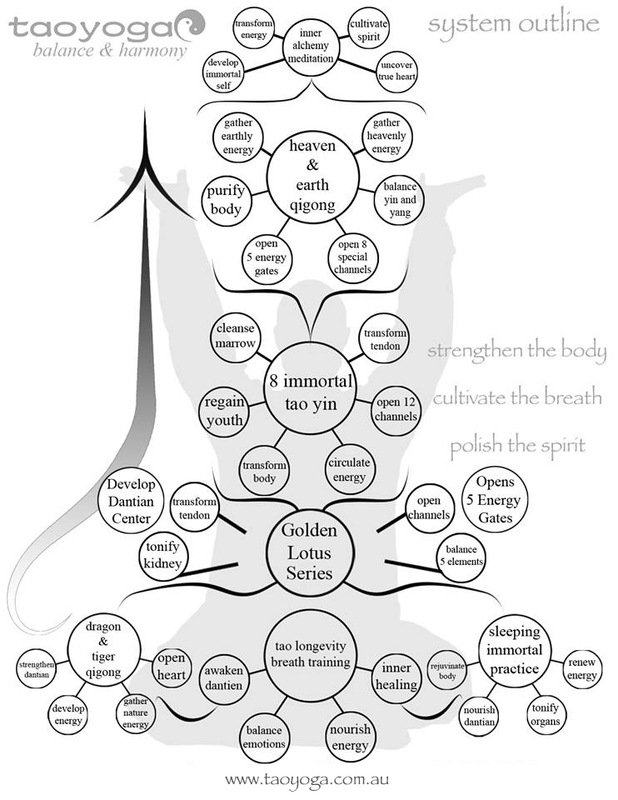 The TaoYoga Arts system is a very comprehensive and vast body of ancient knowledge, wisdom and practical techniques. It is an Ancient Yoga practice which developed in the Sacred Mountains of China, yet has been restructured for the Modern Person, making learning and development easy and fun. Tao Yoga cultivates and awakens the “Qi” or Universal Healing Energy within the practitioner; Qi can be thought of as the underlying essence of all life and the very fabric of the universe. With regular practice, TaoYoga balances the ‘Qi’ Energy within the person. When the Qi Energy is balanced, the body and mind will find health, healing and happiness. The practice of Tao Yoga is a Holistic Life Science which stresses self healing. It uses dynamic stretches, static postures, breath training, meditation, visualisation, positive thinking and dietary therapy to bring about a balanced and healthy state. Tao Yoga is truly ancient wisdom that we may use to enhance our life experience in these stressful modern times. 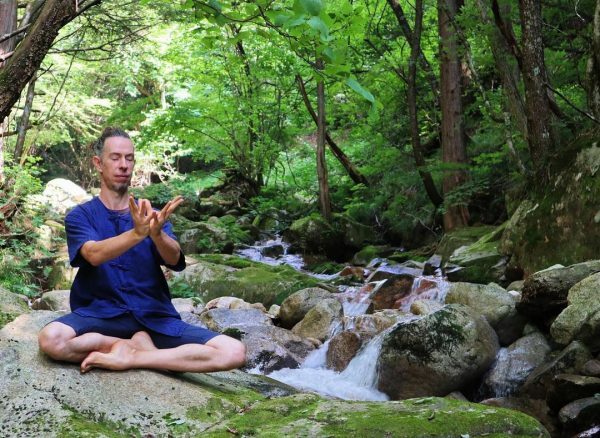 The Tao Yoga Arts system we teach was founded by Jesse Lee Parker, who currently resides in Tokyo, Japan. Benjamin studied directly under Jesse in Tokyo, Japan, achieving the Level 1 Instructor qualification in 2012. Since returning to Australia, Benjamin open the Tao Yoga Australia branch in Palm Beach on the Gold Coast. The TaoYoga Arts System is a comprehensive system of practices and methods that give the student all the tools they need to gain vital health, rejuvenation, inner peace, self transformation, spiritual awakening and self healing. At the heart of the TaoYoga Arts System is the ancient Taoist Teaching of the “Three Regulations”. It gives health, healing, strength and fitness of body. It gives balance and peace to Mind, Heart and Emotion. It gives brightness and purity to Spirit. Click here for more information about the weekly class schedule including class content and benefits: TaoYoga Foundation Class.